Our brand new extra large shopper is perfect for taking to the supermarket, with its two strong handles and reinforced edges, its long lasting and durable. Made from jute this extra large bag is a 'must have' alternative to plastic. Jute bags are highly sustainable as they are biodegradable, which means when you’ve finished with them you can just pop them on your compost heap and they will break down. Inspired by the Eden Biomes and designed by our graphics team. 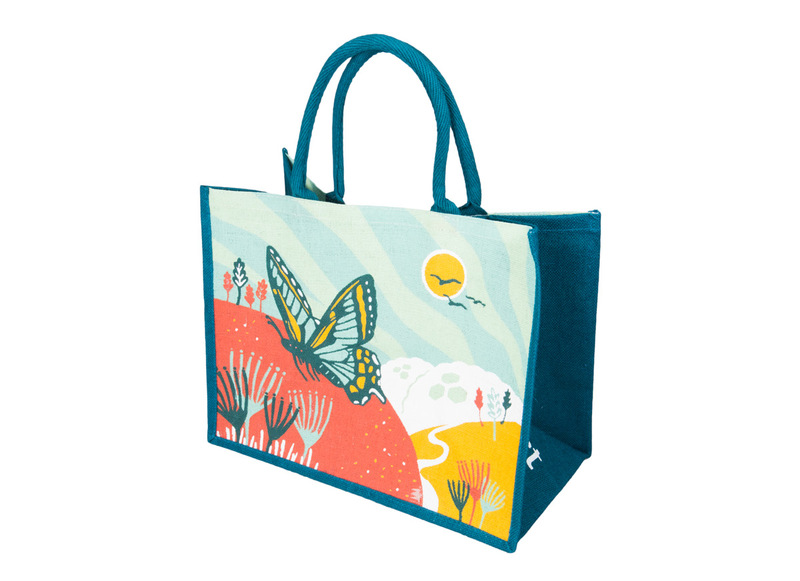 Our shopper bags really do make a difference to the environment as we only use azo-free dyes and low pollution inks to print the unique designs.